A surge in Amazon’s stock price Thursday morning gave Amazon CEO Jeff Bezos a net worth of $92.3 billion, versus $90.8 billion for Microsoft co-founder Bill Gates. But Bezos held the No. 1 spot only briefly, as Amazon’s stock reversed direction. A surge in Amazon.com shares Thursday morning in advance of the online retailer’s earnings report briefly propelled founder Jeff Bezos past Bill Gates as the world’s richest person. Shares of the online retailer climbed as high as $1,083.31, which gave Bezos a net worth of $92.3 billion. Microsoft co-founder Gates had a net worth of $90.8 billion as of the Wednesday close. But Amazon stock reversed direction later Thursday morning and closed the session down $6.80, or 0.7 percent, at $1,046. That value pushed Bezos, 53, to a No. 2 ranking on the Bloomberg Billionaires Index, behind Gates, 61, who has held the top spot since May 2013. Amazon stock dropped further in after-hours trading, sliding 3 percent to $1,014.54 after earnings missed estimates and the company forecast a possible operating loss for the third quarter. Bezos owns about 17 percent of Seattle-based Amazon, which has surged 40 percent this year through Wednesday, helping to add $24.5 billion to his net worth. 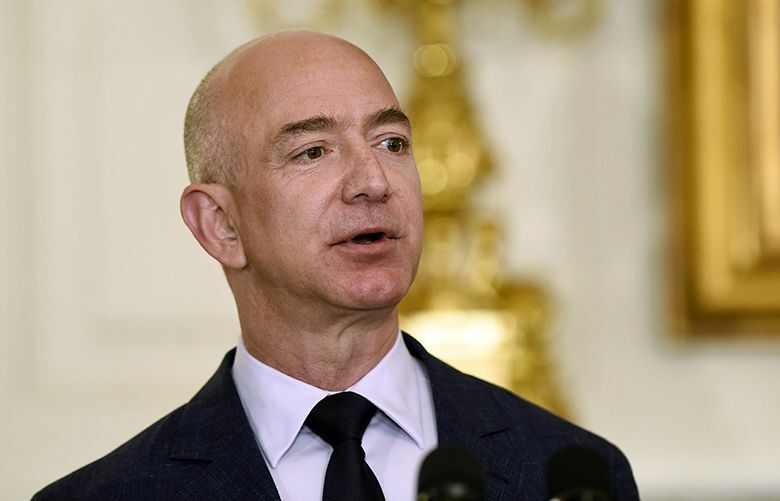 Bezos started the year as the world’s fourth-wealthiest person and has since surpassed Berkshire Hathaway Chairman Warren Buffett, 83, and Inditex founder Amancio Ortega, 81, who ranks third with $82.7 billion.